Communications and its role in driving positive change will be the highlight of the largest event held for communications professionals in the Middle East. 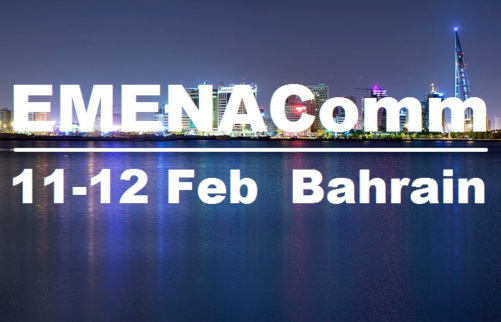 EMENAComm, which is organized by the International Association of Business Communicators (IABC), will bring together the region’s practitioners with over forty globally-renowned speakers and experts for two days. The event, which will be held on the February 11-12, 2019 in Bahrain, will provide the region’s communicators with the insights, know-how and tools they need to help their organizations achieve strategic transformation through communications. With six tracks covering leadership and strategy, corporate social responsibility, the impact of technology, crisis response, and the latest thinking in external and internal communications, EMENAComm will seek to showcase best practices and innovations that are changing how corporations, agencies and NGOs are achieving success through communications. Keynotes will include talks by former Apple executive Cameron Craig on how communications played a leading role in Apple’s turnaround, and Australia’s diversity specialist Tasneem Chopra on organized disruption and how to change the way we communicate inclusively. Klavs Valskov, the former head of marketing communications at GE Oil & Gas, will share lessons on how GE Oil and Gas rebranded itself to become the world’s first digital industrial company, while UAE-based Dawn Metcalfe, founder of HardTalk, will speak on how communicators can create a stand up and speak out culture.